Furnace | VANKLEEF HEATING AND AIR CONDITIONING , INC. 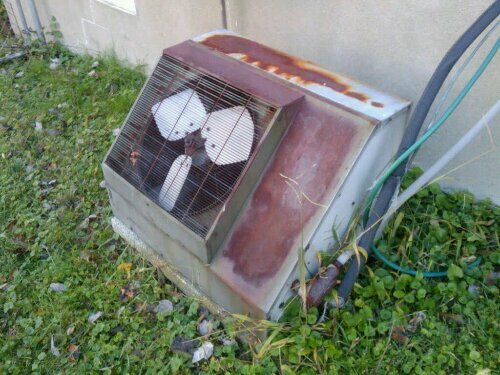 So, you are considering selling your Louisville home but your air conditioner is not working well. Do you live with it thinking you won’t be in the home in a couple of years or replace it with an energy efficient air conditioner and furnace? Three reasons to replace that dinosaur system now. 1 – If it’s more than ten years old, it’s up to 30% less efficient than today’s minimum efficiencies. You’ll save on energy consumption with a new system. 2 – Utility rates increase every year. No matter how much we dislike it, LG&E gets their rated increase approved annually whether it’s electric or natural gas rates. Back to point number one, you’ll save money with a new system. 3 – Let’s say you you do put your house on the market. The buyers will use the age and condition of your heating and cooling system as a negotiating point. A new HVAC system eliminates that point. Plus a stack of lower utility bills is on your side of the negotiating table. If you can afford to do it, purchasing that new system makes sense. Contact us today at 812-280-0510 VanKleef Heating and Air Conditioning to arrange an in-home consultation. We are often asked about how low to set the thermostat to save money on your heating bills. Obviously, you save more money the less your equipment operates. So, how cold can you stand it in your Southern Indiana/Louisville home? Are you a Scrooge and want to keep it 40°F in the house? Well, there is a limit. When a furnace is operating, all of the combustion gases are just that – gases. We don’t want any of them to condense into a liquid while in the primary heat exchanger or vent. So, manufacturers recommend keeping the temperature above 60°F. What happens if the gases condense in your furnace or vent? When they condense, they form acids. These acids will eat the metal in the vent and heat exchanger. This drastically shortens the life of your system. So, what’s the answer? Set your thermostat as low as you can bear but keep it above 60°F in the winter. So that’s what is inside your furnace… It’s most likely a clam shell heat exchanger. This one happens to be cracked. The top center eyelet of each heat exchanger has a crack of above and below it. The others are nearing failure. However, one crack is all it takes to condemn. What’s wrong with a crack? In the modern furnace, the primary risks is a fire. Over time the crack will open and allow flames to hit the cabinet. The secondary risk is carbon monoxide poisoning. This scenario is less likely due to the pressure switches that monitor the negative pressure inside the heat exchanger. You’re more likely to get air from the blower inside the heat exchanger rather than flue gases escaping. How do you prevent this type of failure? It all goes back to proper air flow. Your ducts should provide design air flow per the manufacturer’s recommendations. Often, we find that the duct system needs to be modified to achieve desired air flow. Second, you must change your air filter regularly. Although some filters state ‘Three Months”, it’s important to check them monthly. You may find that your system draws more dust and animal hair than the filter can handle in three months. Finally, regular furnace maintenance by a professional service company keeps your system operating properly. You should have your HVAC system serviced twice a year — once for heating and the other time for air conditioning. Give us a call today for all of your heating and air conditioning needs in Southern Indiana or the Louisville area — VanKleef Heating and Air Conditioning, Inc. (812)280-0510.